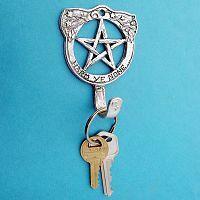 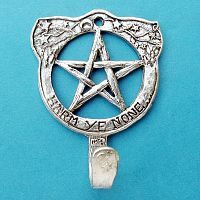 - Add a touch of magic to your home decor with this pentacle wall hook. 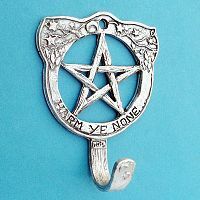 The words "Harm Ye None" appear on the border of the hook. 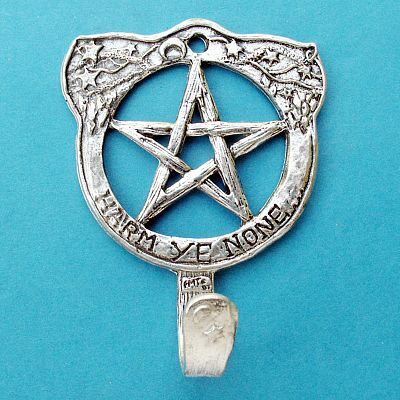 Approximately 3" x 2 3/8". 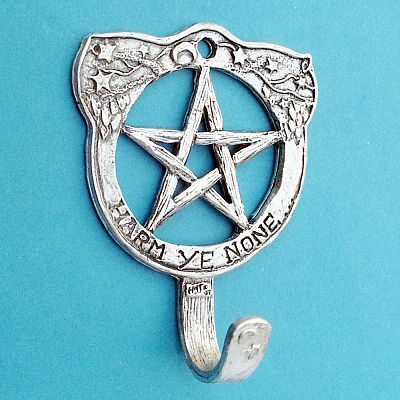 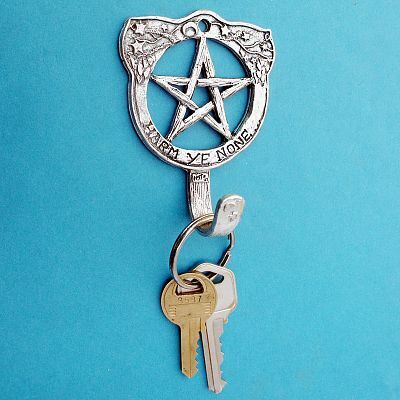 Do you have any other questions about our Pentacle Wall Hook?